Implementation of Annual Card Fee on July 1st. The Taos Town Council has approved a budget that implements an annual fee for out-of-town cardholders starting July 1, 2013. On July 1st all card holders will be required to verify residency. Acceptable documentation will be tax documents that give a physical address, lease or rental paperwork that give a physical address, or a utility bill that gives a physical address. The names on the documents need to match a governmental photo ID. 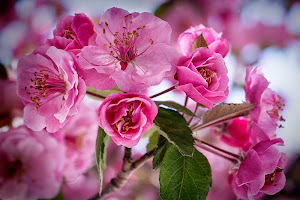 The $10 annual card fee will apply to everybody 19 years of age or older who does not reside within town limits. Those individuals who are not prepared to pay the $10 fee when at time of check out, will have a one time opportunity to check two items out. They will need to pay the card fee the next time they come in. Delinda VanneBrightyn and Robert Parker, two well known glass artists in Taos, will offer an after-noon talk on the topic of contemporary studio art glass. There will be a brief survey of ancient glass and techniques, many of which were lost for centuries. The illustrated presentation will focus on what is known as ‘Warm Glass’ including Kiln-formed and Fused Glass, Cast Glass, and Pate de Verre. The talk will celebrate the processes and aesthetics of over 50 years of the studio art glass movement in North America and explore the artists’ prospective into their own works. The speakers will cover the following areas: historical context leading up to the contemporary era , warm glass, cast glass, Pate de Verre Glass (glass paste), fused and slumped glass. Following the talk, there will be an opportunity for the audience to ask questions and discuss ideas. 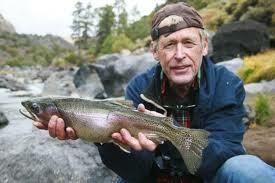 Long time fly fishing guide and author Taylor Streit will give two back-to-back presentations on June 8th at Taos Public Library based on two of his books. 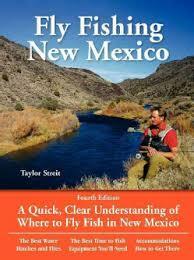 The first will be a slide show from Fly Fishing New Mexico. With the auspicious timing of the event—at the beginning of the trout fishing in our ar-ea—he will place special emphasis on streams just beyond casting range of Taos such as the Chama, Conejos and San Juan Rivers. 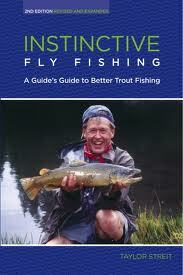 Questions will be taken followed by demonstrations from Instinctive Fly Fishing II . Taylor has done this demo for fly fishing shows and clubs across the U.S. It is not your basic ten to two casting demonstration but more about the nuances of fly fishing casts and maneuvers; op-erations that must be learned along with a proper casting stroke. You will get to witness famous casts like the “Cimarron Sling” the “lift and snap” and the “dying cobra”. We kept hoping he'd change his mind but Library Director George Jaramillo officially retired yesterday. To send him off, the librarians and volunteers threw him a party - with some delicious results. Photos after the jump.